Indexes can be configured to contain only certain types of items, based on their template, location and similar characteristics. By implementing a custom database crawler the filtering can be refined further to allow for very granular in- and exclusion of items. When dealing with large amounts of items this can provide an additional performance gain compared to using the standard Quick Search (aka System) index. 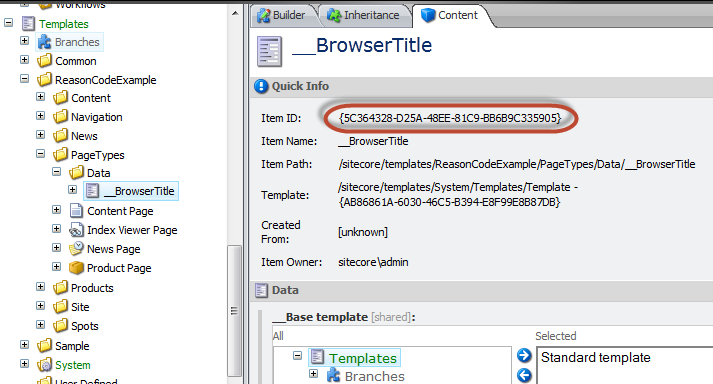 Examples are based on Sitecore 6.6.0 Update-2 and .NET 4.5. Note: I’ve used the implementation extensively with Sitecore 6.2 Update-5/.NET 3.5 and Sitecore 6.5/.NET 4. It should be compatible with Sitecore 6.3.1 and 6.4.1 as well. The following configuration causes web database indices to be updated when content is published. Save the contents to a .config-file and place it in the “App_Config/Include”-folder. As mentioned earlier the custom database crawler shown below checks base templates when determining which items to add to an index. The ItemRepository has been modified to take advantage of the fact that a certain amount of filtering has already been performed by a database crawler during the indexing process. 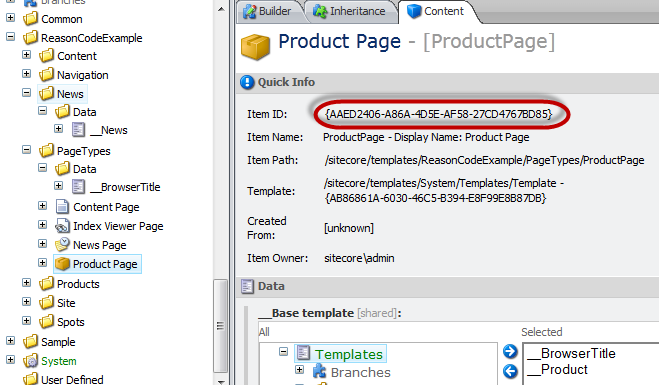 /// Get all items which inherit from the specified template (i.e. supports template based polymorphism). 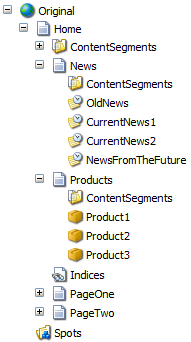 // Base template IDs are stored without dashes and brackets (e.g. "00E76C234BC54EEF86C571A2423A6E6C"). // replaced by a call to "Search(Query query, int maxResults)"
Shown below are various examples of index configurations. They should be saved to .config-files and placed in the “App_Config/Include”-folder as usual. The configuration shown below will cause the System index to contain items from the web database in addition to items found in the master database (configured by default). 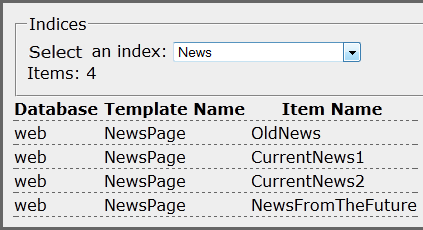 The “News” index simply contains all items in the web database that are based on the News Page template. 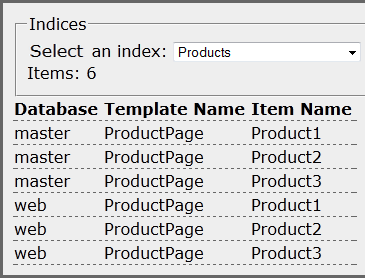 The “Product” index is configured to include items from both the master and the web database, which can be useful when implementing e.g. administrative applications available from within the Sitecore shell. The “BrowserTitle” index contains both News, Product and Content Pages from the web database, as all these page templates inherit from the “__BrowserTitle” data template. Shown here are some simple look ups based on the indices defined earlier. 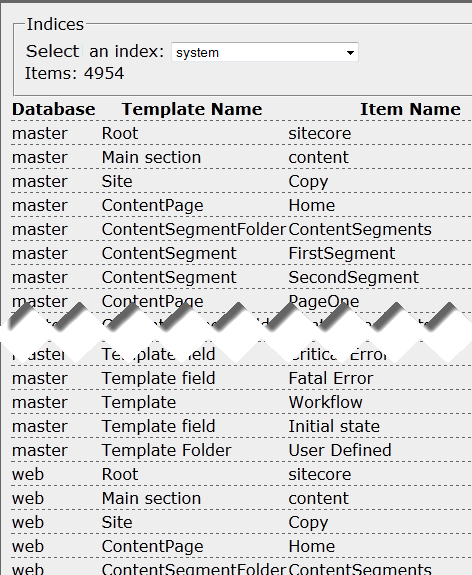 First of, the index has to be rebuild using the wizard accessible through the Sitecore control panel. The wizard shows the name of the index rather than its ID. Note: When using a Sitecore version prior to 6.5 Update-5 / 6.6 Update-1 the rebuild dialog will not display any custom indexes. 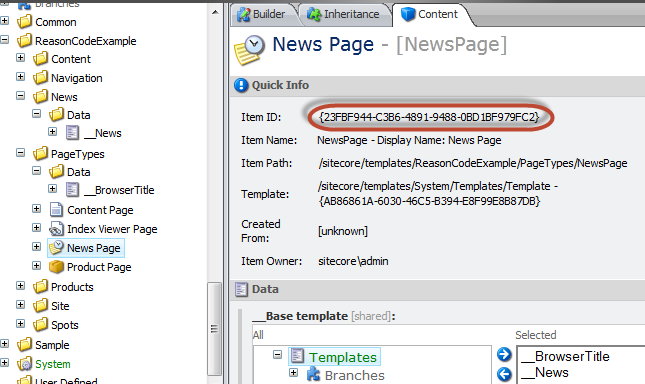 The Sitecore Index Viewer can be used as an alternative to trigger index rebuilds. Failing these options, republishing any content relevant to the index is probably the easiest way to trigger a rebuild. Using the ItemRepository shown earlier, the indexed content can be retrieved easily. Indices can simply be iterated using e.g. Sitecore.Search.SearchManager.Indexes. 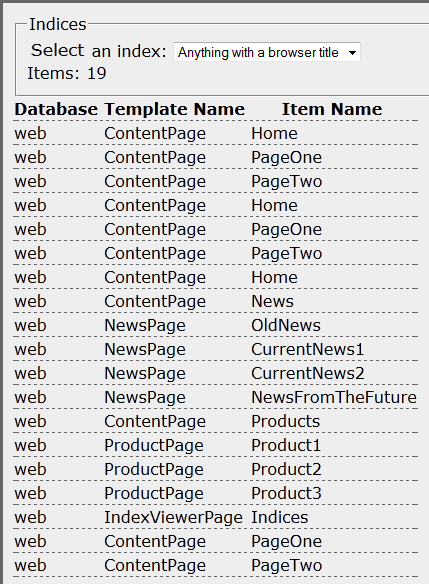 This entry was posted in C#, Sitecore, Sitecore 6.5 and tagged C#, Lucene.NET, Sitecore. Bookmark the permalink. Thanks Uli for the great article !!! It has helped me a lot! Mr Uli, I have a question for you. How where you able to see the indexes in the wizard(from the control panel)? I can only see the quick search index – so I had to make may own RebuildDatabaseCrawlers page in order to see and rebuild my own defined indexes. 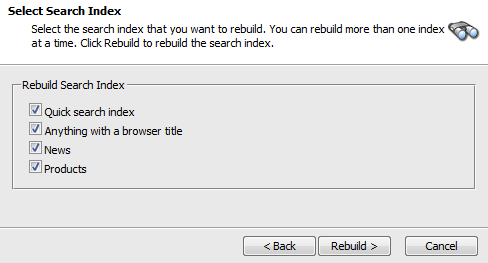 The index rebuild dialog doesn’t show custom indexes in Sitecore versions prior to 6.5.0 Update-5 and Sitecore 6.6.0 Update-1 (I’ve updated the post accordingly). Indexes will be updated when e.g. items are saved/published even though it’s not possible to manually rebuild them using the dialog. If in doubt, open the directory in which the index is located as per your configuration, and look at it while publishing. An index rebuild is very easy to spot because of all the file operations involved.